Would you like to know how to untangle the stories hiding in your family documents, letters, and photographs? What should I throw away? How should I organize these materials? What archival storage materials should I use? Once you know some archival basics, you can adapt professional methods to your family's archives. As a result, you can confidently sort through your family treasures and discover the stories they hold. You can more comfortably make decisions about items worth preserving, and you can wisely invest the resources you have available for the project. You will be in charge of your history instead of the other way around. 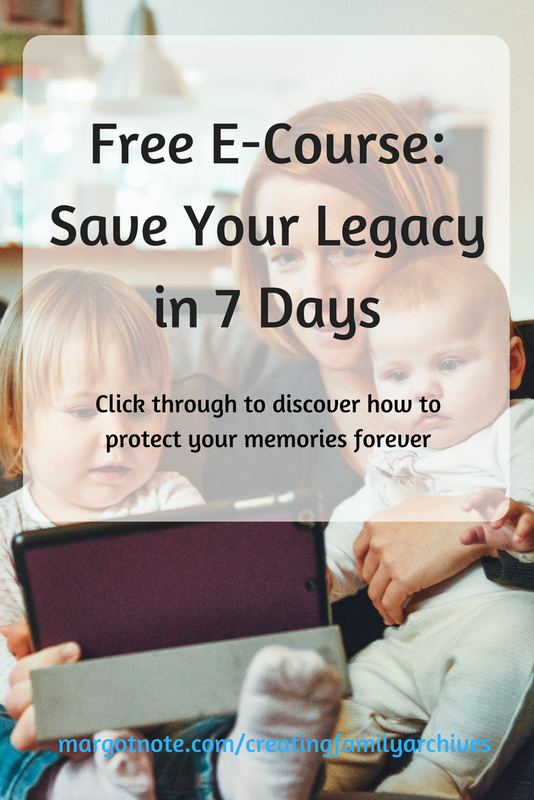 If you'd like to learn more, sign up for my free e-course: Save Your Legacy in 7 Days. You will receive an email every day for a week that will teach you about archival best practices and inspire you to take action. You will also be subscribed to my e-newsletter, so you never miss an update.